During this Jubilee Year of Mercy, CathNews Perspectives has been running reflections on mercy from some of Australia's Bishops. 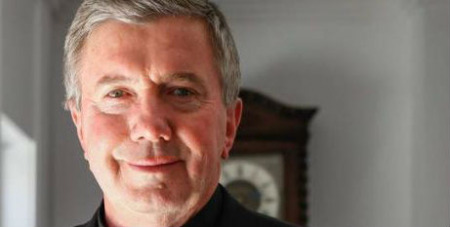 This week's Reflection, the final is the series, has been written by Canberra-Goulburn's Archbishop Christopher Prowse. On the 20th of November 2016, the Solemnity of Our Lord Jesus Christ, King of the Universe, the Year of Mercy concludes. It seems to me that the Year of Mercy has been extremely well received throughout Australia. The theme of Mercy touches the very core of our Christian life. I have observed many pastoral initiatives throughout Australia that have responded to Pope Francis’s call to celebrate the Year of Mercy. Of course, to receive Mercy is always easier than to give Mercy. It is so easy to ask God to forgive us for our many failings and to deepen His merciful whole of our lives and our hearts. To forgive others who have offended us, is not so easy. Forgiveness is an ongoing project of Mercy. Just as healing of a physical body takes time, so does forgiving others. Showing Mercy to others is an ongoing challenge. But this is the essence of our Christian lives. The Beatitude in Matthew of, “Blessed are the merciful, for mercy they shall find,” is a point of arrival and a point of departure for living out the Christian life practically. The conclusion of the Year of Mercy is, however, but the beginning of a lifetime of Mercy. The initiatives and the focus that we have concentrated on, in regards to Mercy this year, must not now recede into the horizon of our lives. Pope Francis so often calls for a practical charity and a practical Mercy. The spiritual and corporal works of Mercy continually help us to understand what this means in a more focussed manner. During this year I’ve noticed just how much the word Mercy comes into our liturgical and sacramental life. It is amazing how many times the word Mercy is mentioned in the Mass. We always begin the Mass with the Penitential Rite. It sets the scene for the whole Mass. Also in our living out the Christian life, the practical ways of Mercy continue our Eucharistic life on a day to day basis, as we meet people and encounter the challenges of everyday life. I am particularly aware that the Sacrament of Reconciliation has been frequented by so many more Catholics over the last year. Many priests and Bishops have commented to me about the far more frequent use of the sacrament by penitents in this Year of Mercy. This is a particular grace of our Year of Mercy! Long may it continue! The Year of Mercy may conclude, but the life of Mercy is celebrated forever.